Funeral – I Dig Graves! When I was a kid, one of several fishes my sisters and I kept in a freshwater aquarium died. Since we didn’t care about him much, he didn’t really even have a name. Until we found him belly-up. Then he had to have a name – for the TOMBSTONE. Deciding on Flashy, we made a sparkly, little casket out of aluminum foil lined with a folded square of soft, pink toilet paper. With me leading the way, I was the oldest, we carried his body slowly, in procession through the living room, the kitchen, out the back door. At the graveside, we sang swing low, sweet chaaar-ri-ah-aht! Words were said – sad, respectful ones about Flashy’s tragically short life. We discussed the six-feet-under concept, but our mother convinced us — I believe her exact words were, “No, you will NOT dig a six foot hole by the back patio!” — that six inches would be more than enough for a creature Flashy’s size. We buried him under the Skunk bush. 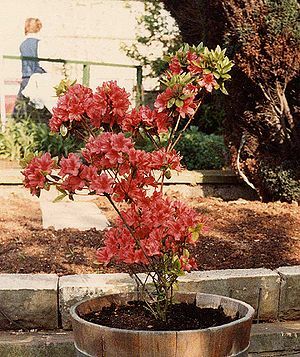 That was our nickname for a rare and gorgeous species of Azalea that blooms a brilliant orange, but has the unfortunately pungent scent of skunk. Flashy wouldn’t mind the smell. We marked his final resting place with a Popsicle-stick-cross beautified with crayon. There may have been tears, but I don’t think so. The feeling I remember most about the whole affair is glee. I’ll tell you about my first real funeral. I was little, seven or eight. My great grandma Essie passed away. Essie lived the last decade or so of her life in a corner of Colorado where the flat plains were sown with wheat fields stretching as far as the eye could see. The Rocky Mountains didn’t even smudge the western horizon. Julesburg is so small you could ride a bike across town in the time it takes to sing three verses of the Star Spangled Banner. I don’t remember the service itself except that it happened in a little church within a block of my grandmother’s house on a gorgeous spring day. Afterwards, I walked down the sidewalk with my sisters and parents, and I started to cry. The sun was a warm kiss against my skin. A cool, silky breeze soothed away its heat. Birds sang. The scent of lilacs wafted on the air. Great Grandma Essie would never experience any of this again. I started a list in my head of all the other wonderful things she’d miss: Christmas morning, Humming Birds, me…. I cried harder. I remember sitting on the edge of the bed in my grandmother’s pink guest room, still crying, Mom sitting beside me. Despite weekly Sunday school classes, I had no concept of a place Grandma Essie could go that could possibly be better than this. Wouldn’t she miss us? Wouldn’t she be all alone? I don’t envy my mom that day. Though I don’t remember her words, I recall a sense of mild desperation in the arm she wrapped around me. Part of my distress was the idea that not everyone got to go to that wonderful place called heaven that Mom and Sunday school tried to describe. My teachers didn’t preach hell and brimstone, not to kids my age, but you hang around at church long enough and even seven-year-olds hear rumors. At 92, Great Grandma Essie was a grumpy, old woman. She’d had a hard life, been abandoned by two husbands, raised two children alone on a farm in the Midwest in the days before electricity and cars and Zoloft. She’d sent both of her kids, daughter and son, to college. She was a tough, old broad. To me, she’d always been a slightly scary, very fragile, old lady who wore sagging stockings and slept in her rocking chair when we visited. She died in her sleep, alone, in a gloomy, cramped apartment that smelled funny. Would she make it to heaven? “Of course,” my mother said, gently squeezing my shoulder as I sobbed.